Package 707 was a design and build project under the Access for All scheme to improve accessibility at three stations in the Midlands. 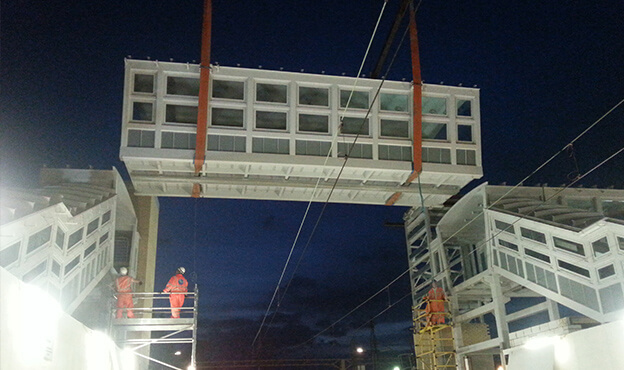 Spencer Group was awarded the contract to create and build three lifts at Berkhamstead and Hemel Hempstead Stations, while also installing three lifts and a footbridge at Leighton Buzzard Station. 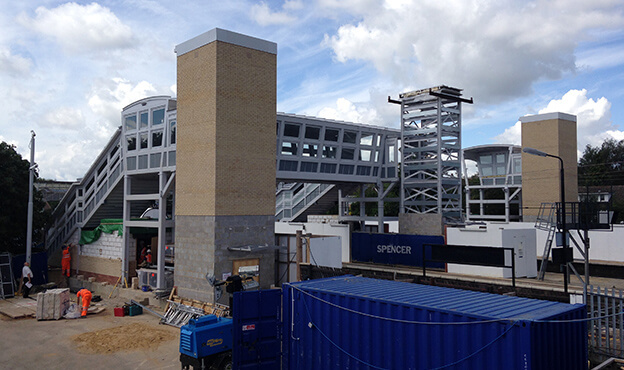 Hemel Hempstead: Three new 16-person lifts and lobbies to connect into the existing underpass, cladding with brickwork to match the existing masonry, relocation of platform furniture and extensive work to lighting power and associated cabling to accommodate new lift towers. Berkhamstead: As Hemel Hempstead, with the addition of a platform extension and a new walkway. 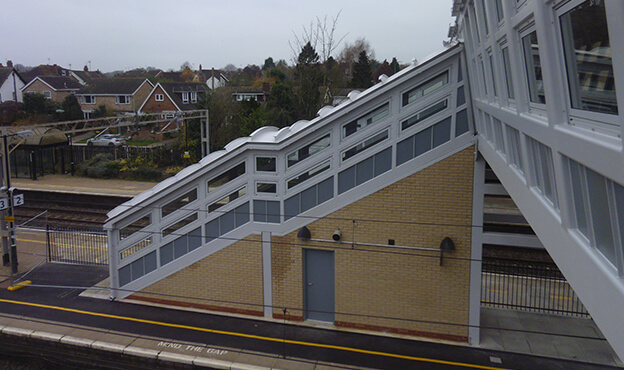 Leighton Buzzard: As Hemel Hempstead, with the addition of a new two-span covered footbridge and three flights of access stairs. All Sites: New finishes were installed to all subway and footbridge areas including M&E fit out, telecoms fit out of PA, CIS and CCTV. Unforeseen ground conditions on platform 1 at Berkhamstead Station required an innovative mini-piling solution to be engineered in order to support the reinforced lift shaft, with the piles being driven within the building on nights. At the same station, Platforms 2 and 3 lift pit excavations required us to support the adjacent structures and the existing subway as work advanced, with the North West main lines running just a few metres away. Despite the high risk involved, and the unanticipated piling solution at Berkhamstead, Spencer Group maintained our usual exemplary standards of quality and safety across the three stations throughout the contract period to very successfully deliver this project.